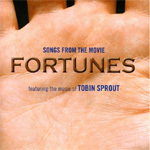 Soundtrack that mostly consists of the music of Tobin Sprout. Contains some songs that are exclusive to this release, including a few different versions of songs. Note: Even though tracklisting on back lists "Slow Flanges" as being from Tobin Sprout, the liner notes list it as performed by Eyesinweasel (Tobin's side project).